1. Magnesium is a silver/white, low density, strong metal that tarnishes in the air to form a thin oxide coating. 2. It reacts with water to produce hydrogen gas. 3. When it burns in air, it produces a brilliant white light. 1. It is used in aircrafts, car engine casings, and missiles. 2. It is used to manufacture cell phones, laptops, and cameras. 3. It can also be used for medical conditions. 1. He can light up very bright and blind the enemy. 2. He can create fire to use against his enemies. 3. He can run very fast because he is light-weight and has a low density. Magnesium was purified in 1808 by Sir Humphrey Davy. It is the 8th most abundant element in the universe. It makes up about 2% of the Earth's crust. 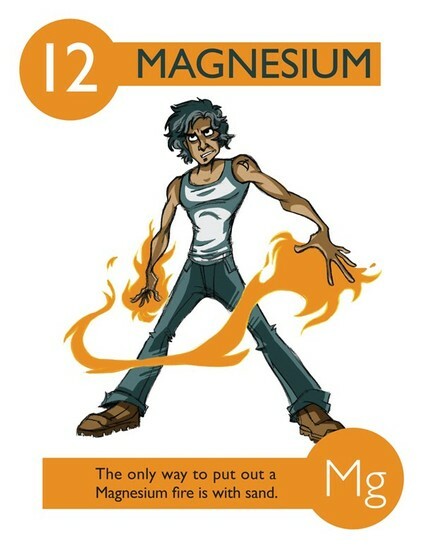 Magnesium is used to make airplanes, cameras, missiles, rockets, and horseshoes. Also, it can be used for medical conditions such as high blood pressure and diabetes. Finally, magnesium is a very important element that is used in everyday living.